There’s only one post on Tevin Corprew’s Instagram account. It’s a five-second video of a play that looks like something straight out of NBA 2K16. Corprew starts a few feet above the 3-point line. Taking one dribble, he bolts past his defender and drives right, taking flight just after the free-throw line. As he soars higher, a defender attempts to meet him with an outstretched arm, but fails. With his head nearly at the rim, basketball cradled in his right hand, Corprew viciously throws down a tomahawk slam. The crowd roars with a collective “Ohhhhhh,” and a few fans leap from their seats in disbelief. Corprew’s teammates were equally amazed. 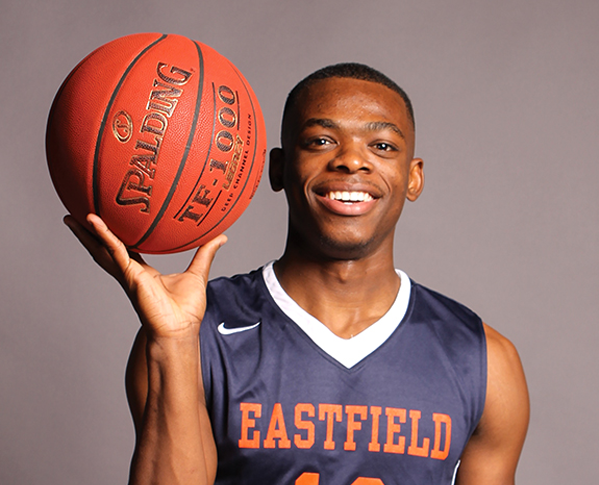 Corprew is the unquestioned leader of the Eastfield Harvesters basketball team, which is currently ranked fifth in the NJCAA Division III poll with a 12-2 record and leads the nation in scoring at 117 points per game. The sophomore guard averages 33 points and 10 assists, boasting seven 30-point performances, three 40-point outbursts and seven double-doubles. “Even on a bad day, he’s better than everyone else,” teammate LeTron Manning said. For Corprew, basketball stretches far beyond the court. He hopes that one day it will allow him to repay his mother for her sacrifices. When Corprew was just 6 years old, his father was shot and killed at a nightclub following an altercation. Corprew taking on two jobs as a caretaker and sometimes working more than 50 hours a week. “She tells me, ‘Tevin, I’m tired of working,” and I just say, ‘Be patient, it’s coming,’ ” he said. This isn’t Corprew’s first stop at Eastfield. He was a member of the 2013-14 Harvesters team that finished fifth in the national tournament. But Corprew wasn’t satisfied. He wanted a national championship. “It was the worst feeling ever,” he said. After the tournament, Corprew earned a scholarship to play for Collin College, but he would eventually suffer a knee injury that sidelined him for a year. He decided to return to Eastfield for his final season. Corprew re-dedicated himself to the game this past summer. He trained alongside NBA talents like Julius Randle, a Dallas native who was drafted seventh overall by the Los Angeles Lakers in 2014, and Flower Mound’s Marcus Smart, a member of the Boston Celtics. He also received motivation from his older brother, Terry, whom he credits for helping him recognize his potential. His slender frame is defined, devoid of any fat. He stands 6 feet tall, but his arms appear to be closer to 7. The film session is part of a busy week for Corprew, whose typical workouts include practicing with the team five days a week followed by at least two additional hours of work on his own, a quick bite for dinner and then another gym session at midnight. Corprew is reaping the benefits of that dedication. He earned Metro Athletic Conference Player of the Week honors for four consecutive weeks to start the season, something no Eastfield player in any sport has ever done. He has also earned the respect of his teammates, who can’t wait to see what he will do next. Corprew does more than just score. He sets his teammates up, too. Through 14 games he has 142 assists, including a season-high 16 against Tomball Community College. 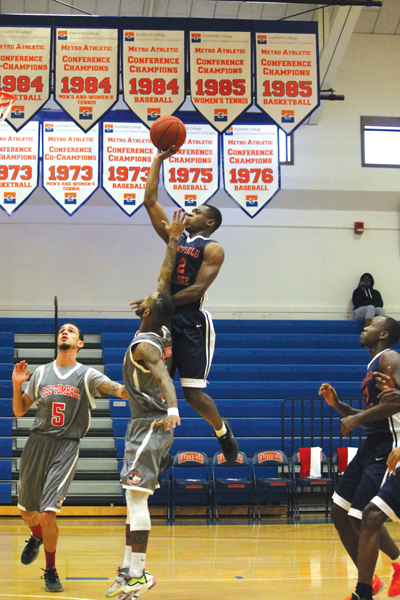 Eastfield coach Anthony Fletcher believes Corprew’s talent could carry him to the next level. Corprew hopes to use basketball as a springboard in life. As a business major, his goal is to enter the world of fashion with his older brother, who is an aspiring designer. “I’m just trying to use basketball to build an empire,” Corprew said. “Basketball eventually comes to an end, but it’ll take me where I need to be: living comfortable. I’m not the person who cares about the acco- lades and all that. But first he has his sights set on a national title.